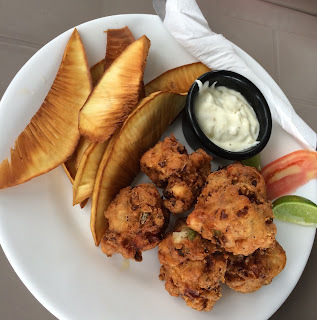 Although not as prominent as the chile pepper and corn, milk, cream, and cheese products are important part of Mexican cuisine (and the cheese part is significantly amplified into the descendant Tex-Mex adaptation). 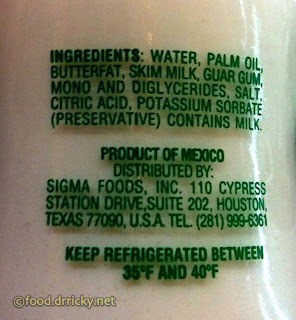 So, when I spotted a bottle of something called "Creamy Mexican Blend" in a store the other day, I was a bit puzzled. Blend? Why not just cream or crema? A look at the ingredients reveals the reason: palm oil. Basically, butterfat, the primary fat in milk and cream, is quite valuable. It is, after all, used to make butter, and if you were Norwegian, you hoard the stuff. Palm oil has a hydrogenation profile similar enough to butter that it is often used to substitute for it in baked goods (for example, girl scout cookies). Some even contend that it may be "healthier" (they'd be wrong). Palm oil itself is a key ingredient in many African dishes, but has since morphed into an enormous industry worldwide, with oil palm plantations carrying significant impacts on the environment in Southeast Asia. 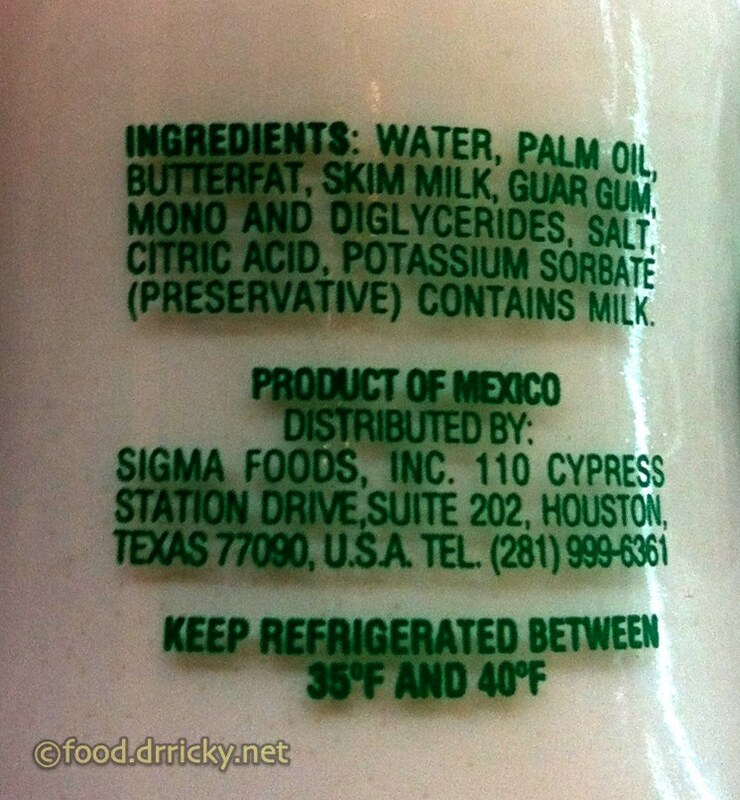 And, at least in places like Mexico, it's replacing traditional crema - and somewhere in Texas, we're importing it.